If you only want to buy a bottle or two of oils you can register on the Young Living site as a retail customer and order just as you would on any other shopping site. I would LOVE if you signed up with my link here which should auto-populate my Young Living number (1683023) at the top of your registration. This link helps me to get compensated for sending you to Young Living and helps pay for the time that I spend answering questions and helping my “customers!” Of course as one of my retail customers my email is open for any questions/advice/help you might need with any of your Young Living needs! For those who want to keep more of their own money in their pocket you can sign up as a Wholesale Member-this let’s you buy your oils at a 24% discount (kinda like a Costco membership!) You can see a full step by step on how to join Young Living as a Member here-complete with FAQ (and of course you can always email me!) Please be sure my member number (1683023) is in both the sponsor and enrollee sections of the form-this gives me credit for your membership and ensures I’m notified so that I can send you a fun, free welcome gift! 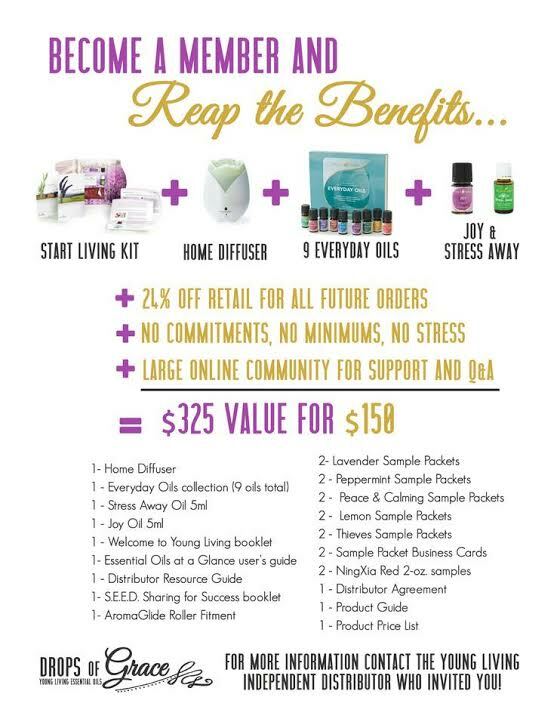 When I joined Young Living I did so buy purchasing the Premium Starter Kit-it’s the absolute best value you can get! I’ve actually purchased quite a few Starter Kits over the past couple of years because it’s a great way to get a diffuser for less along with a wide variety of the oils I use the most! 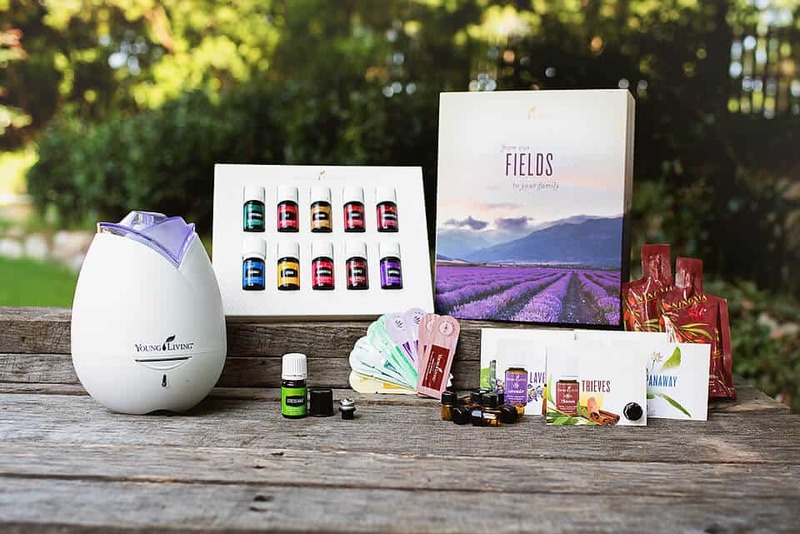 The kit comes with ELEVEN bottles of pure, unadulterated essential oils, along with the Home Diffuser and samples of the most popular oils and Ningxia Red. And before you ask-you NEVER have to make another purchase, you NEVER have to sell anything, there is NO obligation you’re signing yourself up for! I am totally NOT a salesperson and won’t harass you or pressure you to ever do anything to build a business or sell Young Living if that’s not your “thing!” Pinky swear! Now, if you do want to share Young Living to supplement or eventually replace your income-I can help you with that, we have an immense support network and many find that they fall into earning extra money from Young Living just by others seeing how much they enjoy their oils! That’s what happened to me! Feel free to contact me with any questions! Good luck on your essential oil journey! next post: Thank You for Subscribing!